Born in Llandaff, Cardiff, Wales, he was the only child of Reverend Francis Lewis, but was orphaned at an early age. He went to live with his aunt and uncle soon after. He was educated in Scotland and attended Westminster School in England. He entered a mercantile house in London, then moved to Whitestone, New York in 1734. He was taken prisoner and shipped in a box to France while serving as a British mercantile agent in 1756. On his return to America, he became active in politics. 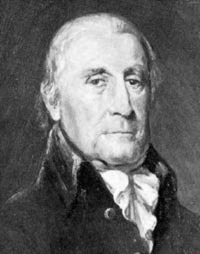 He was a member of the Committee of Sixty, a member of the New York Provincial Congress, and was elected a delegate to the Continental Congress in 1775. In 1778, he signed the United States Articles of Confederation. From 1779 to 1780, Lewis served as the Chairman of the Continental Board of Admiralty. His home, located in Whitestone, on Queens, New York, was destroyed in the American Revolutionary War by British soldiers, who also arrested his wife and denied her a change of clothing or adequate food for weeks while in captivity.